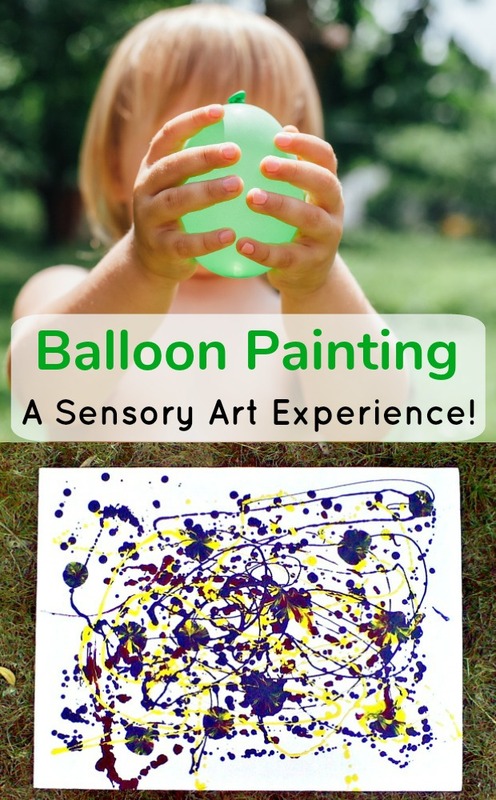 Balloon Painting is a Super Sensory Messy Art Activity! 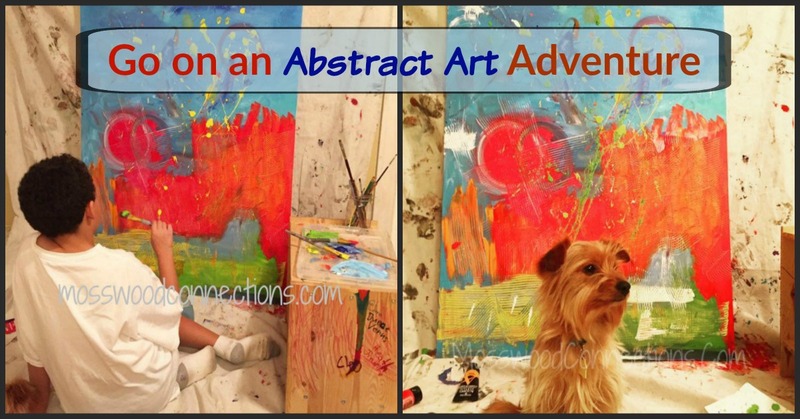 Balloon painting is a fun way to get kids involved in creating art. By using balloons you have a fun way to apply paint that can make some beautiful textures and patterns. Did I say it was fun? 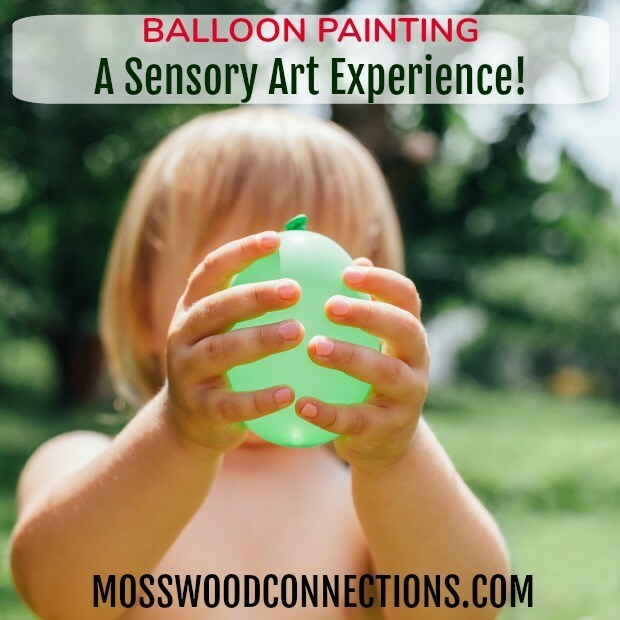 Actually painting with balloons is an appealing sensory activity. 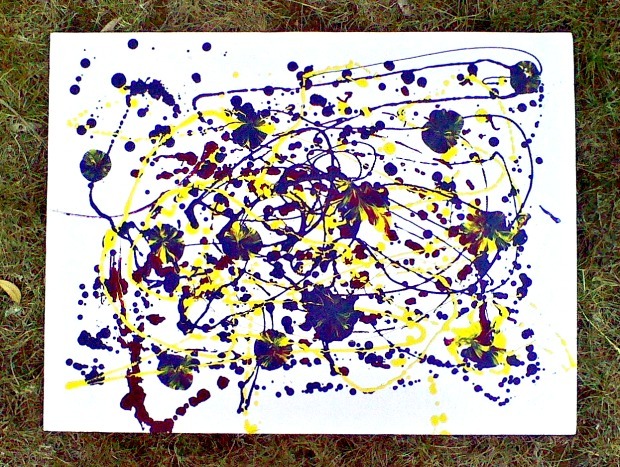 It has the benefits of the feeling of squeezing paint filled balloons without getting paint all over your hands. I actually think that I had more fun with this activity than the kids did. There is something so satisfying about squirting the paint out of the balloon. It’s great stress relief. Prepping this activity is relatively easy and the materials are all very affordable. The best part is the reaction from the kids when they realize they get to squeeze paint all over the paper! Balloon painting is one of my favorite art projects for when I want to take the art project outside. • Cardboard or Large Pieces of Paper . Warning: This project can get very messy! • Put the cardboard or large piece of paper on a work area on the ground. 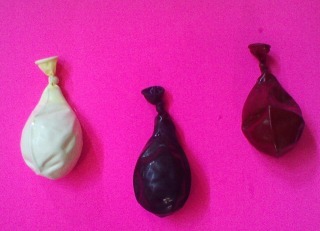 Tie off the balloons then turn them over and use the pin to poke a hole in the balloon. • Have the kids squeeze the balloons to apply the paint. • After we squeezed the paint on, one of the balloons dropped onto the picture. The effect was certainly a happy accident and we had fun plopping the balloons onto the wet paint. • This would be a great co-operative activity. Lay out a bunch of “canvases”, give each child one color of paint and have the kids take turns squeezing their color onto all the different pictures. I have also seen people use the balloons as painting tools. 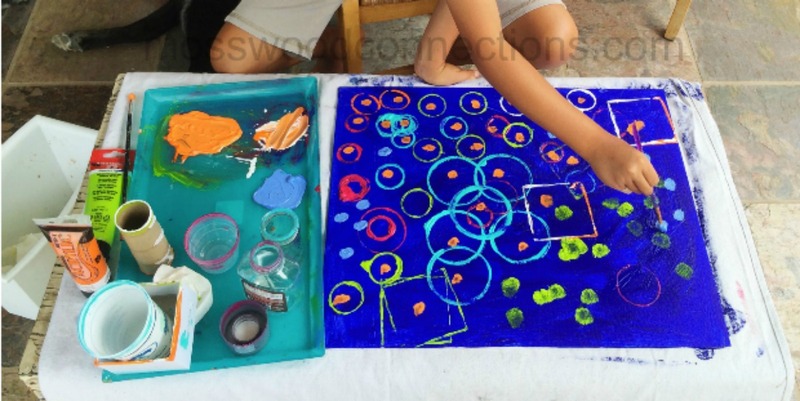 Turn the balloons into painting stamps and have the kids learn about colors and patterns. Another fun way to make a balloon splat art project is to attach the balloons to a paper a vertical canvas or white foam board with white butcher paper taped over it and have the kids throw darts at the balloons.